San Francisco—Chief Justice Tani Cantil-Sakauye today announced the appointment of Judge Emilie H. Elias to the Judicial Council of California to fill the vacancy created by the retirement of Judge Burt Pines from the Superior Court of Los Angeles County. Judge Elias’ appointment is effective immediately and ends on September 14, 2013. Appointed to the Superior Court of Los Angeles County in 2000, Judge Elias is the Supervising Judge of the Complex Civil Litigation Panel. In that position, she presides over complex civil cases, including all law and motion matters, settlements, and trials. As a superior court commissioner from 1989 to 2000, Judge Elias presided over a civil calendar at the Stanley Mosk Courthouse. She was elected commissioner by the judges of the superior court. Active in state court administration, Judge Elias served on the Judicial Council’s CJER Governing Committee from 2002–2008 and has been a member of the Civil and Small Claims Advisory Committee since 2008. Judge Elias has served as a faculty member for numerous judicial education programs, including the B.E. Witkin Judicial College and the New Judge Orientation, and has taught the Civil Law Overview course for new and experienced judges. She has also been an instructor in ethics and computer programs for judges. In addition, she previously served as an adjunct professor at Loyola Law School. At the Superior Court of Los Angeles County, Judge Elias has been active in the court’s Judicial Education Program since 2005, serving as chair since 2010. She is a former member of the executive boards of the California Judges Association, the Los Angeles Chapter of the Association of Business Trial Advocates, and the Los Angeles County Bar Association, Litigation Section. In 2002, she received the Trial Judge of the Year Award from the Consumer Attorneys of Los Angeles. In 2011, the American Board of Trial Advocates honored her with the William J. Rea Jurist of the Year Award. 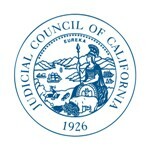 Chaired by Chief Justice Cantil-Sakauye, the Judicial Council is the policymaking body of California courts. The council comprises 14 judicial members appointed by the Chief Justice, 4 attorney members appointed by the State Bar Board of Governors, 1 member from each house of the Legislature, and 10 advisory members.